The refereeing standards have always been questionable in the Indian Super League, even in previous seasons we have witnessed some ridiculous misjudgments which almost costed the game for one side and which eventually puts a huge effect of the league table. Something similar to that happened in the FC Pune City and Kerala Blasters match, as it ended with a 1-1 stalemate but it was an entertaining affair filled with a lot of controversies. Referee Om Prakash Thakur never looked confident and was very nervy with the decisions he made throughout the game. 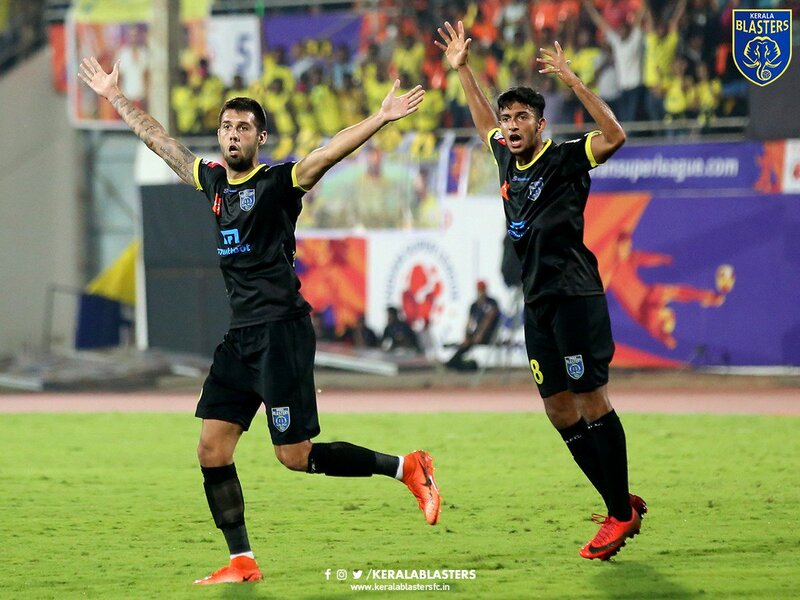 In the 41st minute when Kerala Blasters were awarded a corner and the away side were desperately looking for a goal as they were trailing to a stunning long-range goal from Stankovic. Stojanovic's delivery from the corner found Lakic-Pesic in the far post as he headed it towards goal as both Kamaljit and Alfaro dived in to stop the ball as Krcmarevic tried to push it in. The ref first gave it as a goal but then after consulting with the linesman he disallowed it. The ball evidently did not cross the line though as the replays came up it was also clear that Alfaro used his hand to block the ball which was absolutely not right and something which the referee did not notice. It could have been a severe punishment for the Stallions and the Blasters could have had a penalty in the process but it was not their day, honestly. Another incident happened in the 56th minute when Marcelinho's overhit corner kick was controlled by Gurtej Singh in the box as the defender unleashed a beautiful cross aiming Alfaro. The Uruguayan forward had a tussle with Nikola Krcmarevic as the referee pointed towards the spot. There was slight contact as Alfaro went down too easily capitalizing the opportunity to deceive the referee again. The penalty though was missed by the forward to the Blasters' delight. Being underdogs is not usual at Manchester United, says Ole!! !